How To Not Be A Loser In A Bidding War. Nobody wants to be a bidding war loser. When making bidding war offers you want to come on top. The best offers during a home bidding war are the ones that don’t ask for extra items like, refrigerator, washer, and dryer. The trick to winning a bidding war on a home isn’t just asking for the “extras”, it’s also what loan you chose, how long will it be until you close and the way you construct your purchase offer in a way that is the strongest to the seller’s eyes but not breaking your budget for a home. 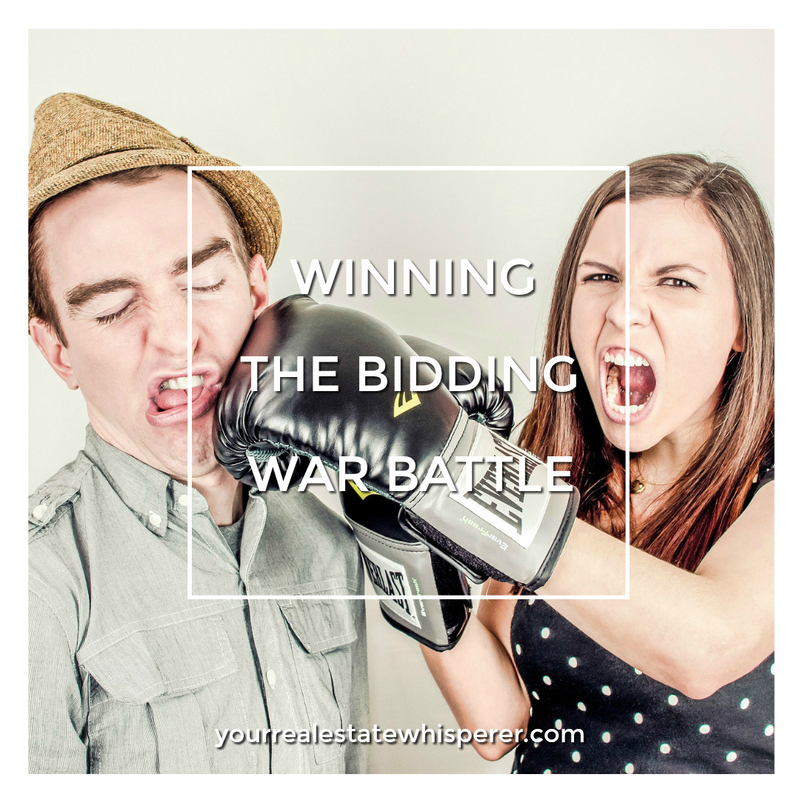 This article will show you 5 tips to making your bidding war offer stronger so you won’t end up being a bidding war loser. Do not ask for extras like refrigerator, washer, dryer and silly items that are cosmetic like asking for the home to be painted. Nothing will make a seller pass over your offer like asking for extras that have nothing to do with the value of the home. Up the amount of your deposit, normally in the state of Louisiana, the deposit amount is pretty minimal to the amount of the home. The typical amount is as little as 250-2500 depending on the price of the home. If you’re in a bidding war you may want to consider upping that amount to 2500-5000 so the sellers know you are a serious buyer that has skin in the game. Decrease the number of days for inspection. When you write a purchase offer most ask for a 10 day inspection period. If you reduce the number of days for inspection to 5 days your offer may look stronger to the seller due to the fact it will be fewer days off the market if the buyer will be removing the offer after the inspections are completed. With that said many realtors may suggest a pre-inspection prior to writing an offer if you use this tactic you may lose precious days that someone else can beat you to the punch to make an accepted offer and you will never get a chance to make yours. Consider a different loan type. If you are not paying cash and you have not chosen a loan package you will need to discuss with your lender the best option for you to get the loan closed fast but still has your best interests. Go with your highest and best offer with the first offer you come in with. This is not the time to test the seller on there willingness to come down in price. If you are serious make your strongest offer the first offer you make. It doesn’t hurt to add a little human emotion to your offer, sometimes we forget that families are involved so if you add a letter stating why this home is so important to you, this may be the deciding factor when it comes to a bidding war. 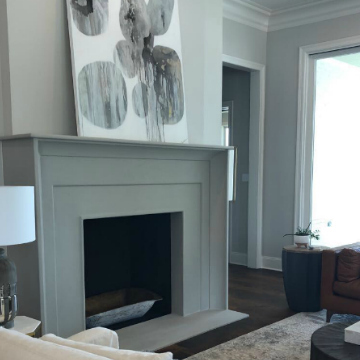 Parade Of Homes 2018 In Greater Baton Rouge. This past weekend kicked off the Parade of Homes In the Greater Baton Rouge area. Even if you’re not in the market for a brand new home if a great way to get fresh ideas on remodeling your own home. Throughout many Parishes, you will be able to see the latest trends in new home building, like flooring design, colors for walls and the style in kitchen design. 2018 Parade of Homes, May 12-13 and 19-20. This is your chance to preview up and coming communities, different floor plans, new ideas and innovative products. The Parade is free to the public with homes open on Saturdays from 11am-5pm and on Sundays from 1pm-5pm. The 2018 Parade of Homes will show many homes of all sizes, layouts, and architectural styles. The tour has a little bit for everyone with homes ranging from the starter home all the way up to luxury homes in exclusive neighborhoods. This will be a great way to get idea’s for your own home or preview a home to purchase in the near future. Why You Don’t Always See A Sale Pending Sign. It’s Take A Tip Tuesday, Do you Know Why you don’t see “Sale Pending Signs”? You may have driven up to a home recently only to find out the sale of the home is “pending”. 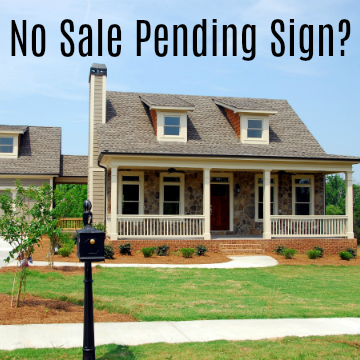 What is a pending sale sign anyway? It just means the home has a contract that is waiting to close on the purchase. So why don’t realtors put the sale pending sign up? You want to know is the sale pending, right? The reason why most realtors don’t put the sale pending sign up is to capture possible leads in case the home sale falls through. There are many reasons why a pending home sale could fall through as an example, credit check comes back off from the application, the buyer has been let go of their job, one of the buyers on the loan has passed away or taxes were filed incorrectly, these are just some of the ways that a pending home sale could fall through. there are many other ways this was just an example. I know it can be frustrating for you as a possible buyer to be looking in a neighborhood and find the home of your dreams only to see the home with the for sale sign now has a pending contract. You may feel like the agents are just wasting their time not putting up the sign but we are trying to represent our sellers in the best way possible. If the pending sale sign goes up and the pending contract happens to fall through we have missed out on all those possible leads that could put in a contract or even a backup offer. Let me start off by saying that I originally didn’t intend on taking the haunted tour of Ascension Parish’s Houmas House plantation haunted tour, but I’m glad my niece Jessica Robison and I did. We were able to tour the beautifully landscaped grounds for a good hour before the sun went down. As it got darker, you could feel the atmosphere change. At every turn, it seemed much scarier when earlier it had seemed cheery and joyful. 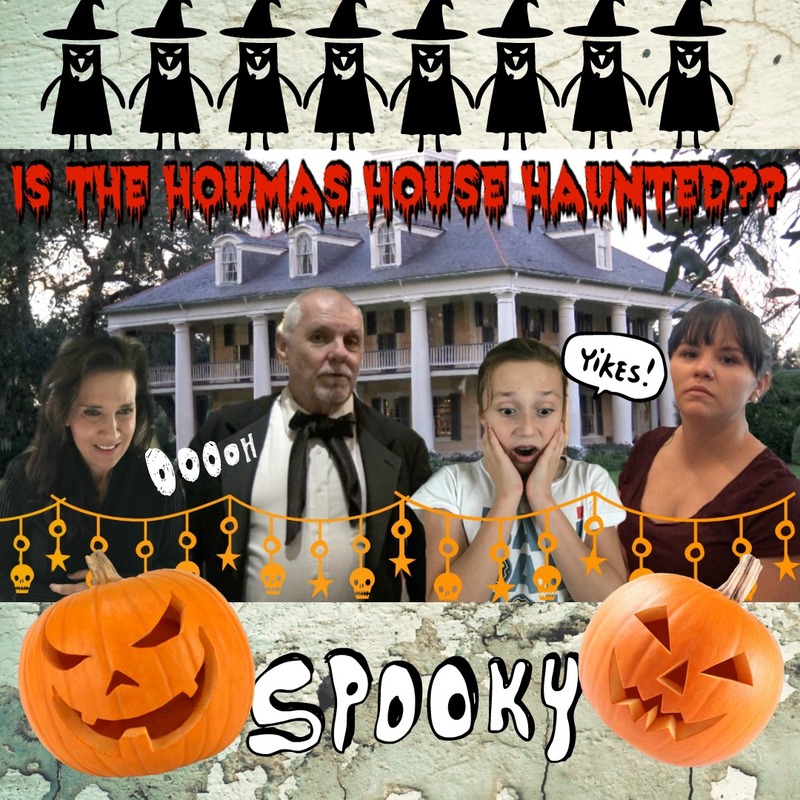 The rivers that flow through the property became dark and murky, a perfect red sunset greeted us right as the bell rang for the Houmas House Haunted tour. Our guide is an older man dressed like an old-time butler and was able to give us vast details of many things in the home paying special close attention to the creepiest of items. One of them is a large cast iron sarcophagus, he joyed in recalling the story of one of these opening and the body inside was perfectly preserved. Moments later playing an untuned piano which set the theme of the rest of the uncomfortable tour. We weaved through rooms as he recalled the many stories of the past in this plantation home. One is the fact that the inside of the home was set for the movie Hush Hush Sweet Charlotte. A personal favorite movie of mine. The small cemetery at the front of the property is actually props that were left after filming was finished, the original family cemetery is now buried under the levy across the road, so no one will be visiting their grave sites for a very long time. Our tour guide brings us to many rooms but the creepiest place is not a room at all, its the spiral staircase where visitors say they see the ghost of a little girl named Mary. Mary died of yellow fever and it has been said she likes to lean over the staircase to see the visitors that come to see the Houmas House. As we crept up the tight staircase we were led to a room filled with dolls made in France, these dolls were made of the real hair and teeth of children and if that wasn’t disgusting enough there faces reminded you of every horror movie ever made. Our butler tour guide said that at night after he turns off the lights he can see the dolls dancing around the room. He smiles a sinister smile when he turns to the next room. If you have not been on the haunted tour at the Houmas House Plantation, I strongly recommend it. I was unaware of its rich history and its spooky past. It’s totally worth the trip. We didn’t personally meet the ghost of Mary but my daughter was creeped out throughout the tour. My 4k camera did quit working for no apparent reason but was this paranormal? Not really sure, You have to see for yourself. 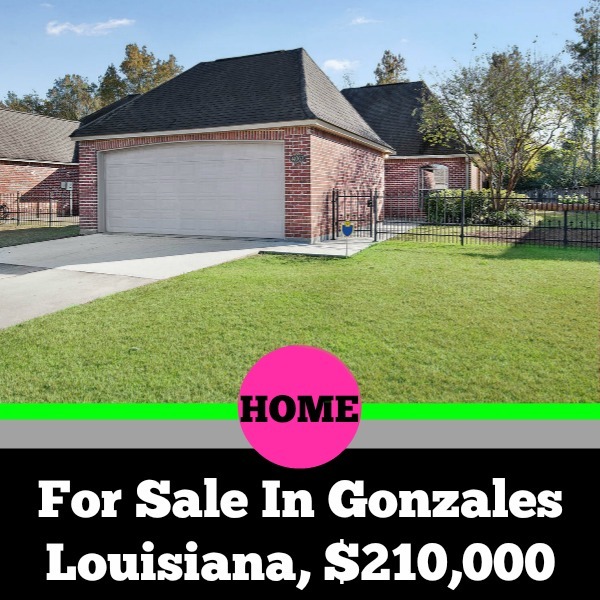 If you’d like a home close to Houmas Plantation Home in Ascension Parish Please free to visit my website @ yourrealestatewhisperer.com. Ascension Parish Coffee Talk #20, Sunset Smoothie In Prairieville Louisiana. ASCENSION PARISH COFFEE #20, SUNSET SMOOTHIE!! When you are stuck in traffic, want a meal replacement or an after workout protein shake, Sunset Smoothie has you covered. 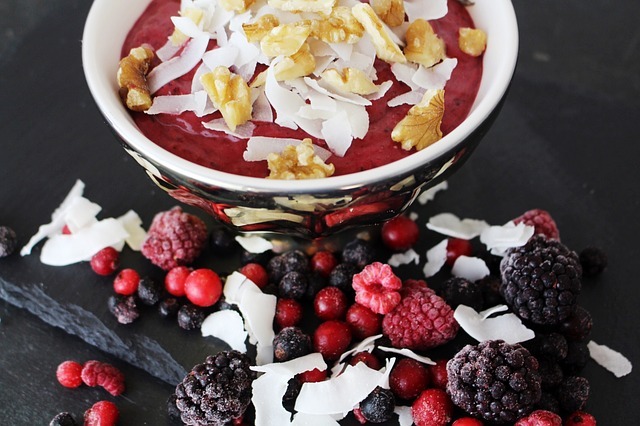 Their large menu of custom made smoothie will suit just about everyone’s palate. These are not the typical ice down smoothies you may get at other places, their recipe calls for milk and their own in house made protein powder. Not a fan of milk, lactose intolerant or vegan? They have those bases covered as well, all you have to do is ask. Tyler Terrebonne shared that his shop added sandwich wraps over time that has been a big hit (I personally tried one and it really was amazing) Tyler also said for the super busy he provides a meal prep service. Perfect for the busy body builder or person training for a big event and doesn’t have the time or energy to do it themselves. ASCENSION PARISH COFFEE TALK #17-Save Ali’s Sweet Shoppe! 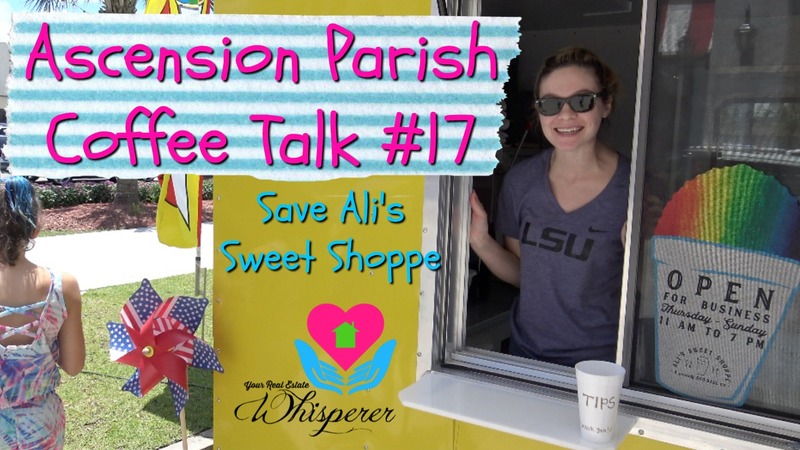 Ascension Parish Coffee Talk #17- Help Save Ali’s Sweet Shoppe! I’ve always had a soft spot for young people taking life by the horns and trying to make a business at an early age. I met just that person this week, Ali Duplessis of Ali’s Sweet Shoppe, opened a Sno-Ball stand right outside the Tanger Mall in Ascension Parish. This twenty-one-year-old woman took her idea, own money and bought herself a Sno-Ball stand. She carefully made sure to get the proper license, approvals and lease from the Tanger Mall so she could be located right where the action is. As you know, It gets hot going from shop to shop around the Tanger Mall and she had the wherewithal to set up her Sno-Ball stand and do it the right way. Hours after opening her first day, she was approached to shut down the stand, told she wasn’t allowed to have it at the location she was given permission to be at but they would give her a special pass for a few days to find a new location. Ali had made her business plan early on and made sure she would have the location she desired the correct way. Only to be shut down a few hours into opening because someone else had made a mistake, This is a costly mistake for a young girl just starting off in business but the part that burns my hide is that she made sure prior to putting up the stand. She HAD planned ahead, she did all the right things but that didn’t matter. My goal for this young entrepreneur is for the people of Ascension Parish to rally for Ali’s Sweet Shoppe so Ali will be able to keep the location she worked hard to get in the first place. Please Share this video with everyone you know so they can help her save her location. We are counting on YOU Ascension Parish. 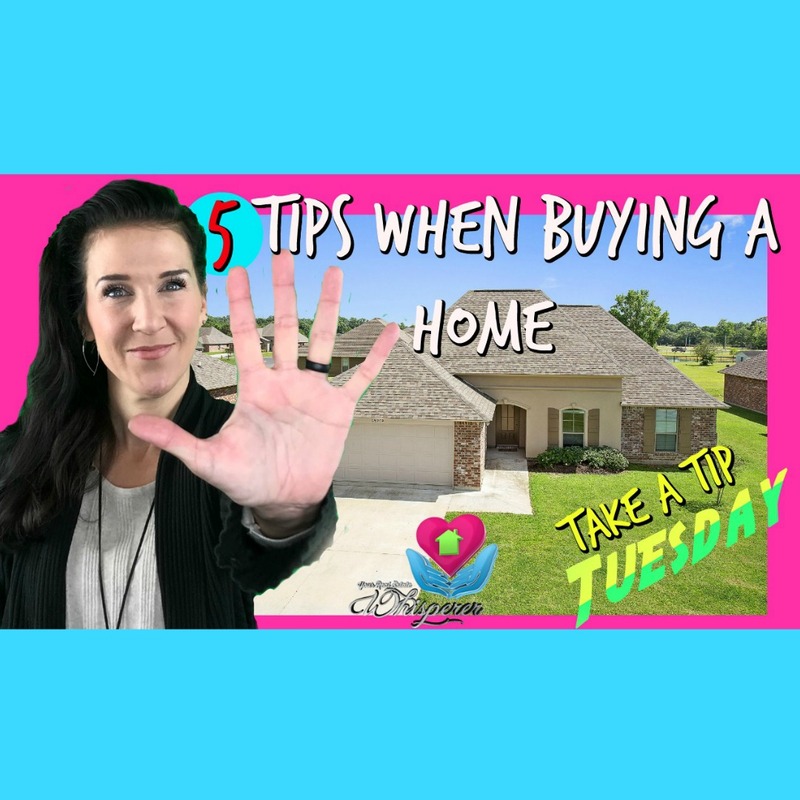 Take A Tip Tuesday-Are You Ready To Buy A Home In Ascension Parish? 3 Things To Ask Yourself. If you have been sitting in your apartment wondering if you could possibly buy your first home, there are a few things you can ask yourself before you pick up the phone to call a mortgage company. Many people, not just in Ascension Parish, wonder if they can get a home of their own but they are either afraid of the answer or they think that the process is too difficult to take on. Before you choose your lender or Ascension Parish REALTOR®, ask yourself these simple questions. Do I Pay My Bills On Time? Lenders look at few things when it comes to debt. First is debt to income ratio. In simple terms, how much do you make and how much of that is spent on paying your bills. If you make $1500.00 a month and $1200.00 is spent on bills then you probably aren’t ready to buy a home. Your credit score plays a big part as well. 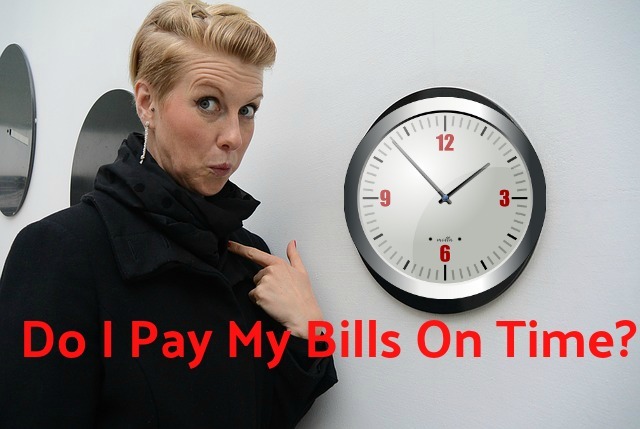 If you can’t pay your bills on time, this will affect your credit score and makes you look like you won’t be able to pay the mortgage on time. No lender wants their money late or have a payee not make a payment. The risk is too high for the lender/bank to want to take on. Learn your credit score! There are so many sites that offer free credit reports. Even if you’re not looking to buy a home currently, it’s a good idea to know where you stand. You need to know if something needs to be removed from your credit report or if you need to close that old Bed Bath and Beyond credit card that you have never used. Do I Pay More In Rent Than I Would For A Mortgage? If you are not sure, you can look for a mortgage calculator online. You can find one on my website, http://yourrealestatewhisperer.idxbroker.com/idx/mortgage to help you to make that determination. Make sure to consider the taxes, insurance, and monthly utilities. Many times, especially with rent being as high as it is here in Ascension Parish, the cost of a home will be lower than your current monthly rent, AND there are usually significant tax advantages to home ownership! Do You Have Any Money Saved? There is a misconception that you won’t need any money to buy a home if your credit is good. While there are financial assistance programs, and even some 100% financing, you will still need some money! You will still need funds for the costs of appraisal (around $500) and the cost of inspections (around $350-450.) These fees are not typically added into the 100% financing plus you’ll want some extra reserves for things like the cost of your move, refrigerator, washer, and dryer or other unexpected costs that could arise during the home buying process. Now that you’ve asked yourself these questions, are you ready to buy? If you feel pretty confident with your credit score and savings account, plus you know your rent is higher than a mortgage, it’s time to call a lender to get qualified. I have the names and numbers of local lenders that I have often used who would be happy to work with you and help evaluate your home loan needs. Every client is different and so are their home loans; let them speak to you about your unique situation. I hope you found this information helpful. If you have any questions please feel free to reach out to me. You can always reach me by phone, email or text. I tell you all this, “Because YOU Matter”.